Cologne - A host of Bundesliga stars will have had their eyes straining across the Atlantic to see the start of the NBA season on Tuesday. Borussia Dortmund defender Mats Hummels had the pleasure of meeting Würzburg native and NBA legend Dirk Nowitzki back in June 2013. 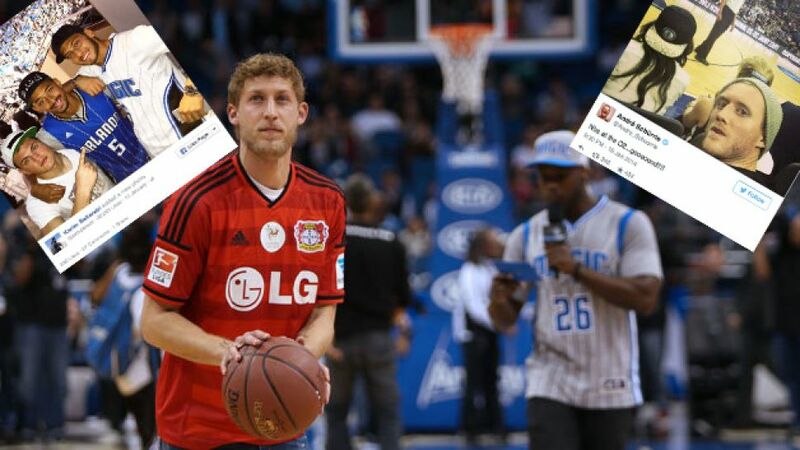 Dallas Mavericks' power forward Nowitzki is widely regarded as Germany's greatest-ever basketball player and is also the highest-scoring foreign player in NBA history. ...and challenging German NBA star Dennis Schröder of the Atlanta Hawks to perform a few tricks himself. You can make your own mind up about whose showboating was more impressive!